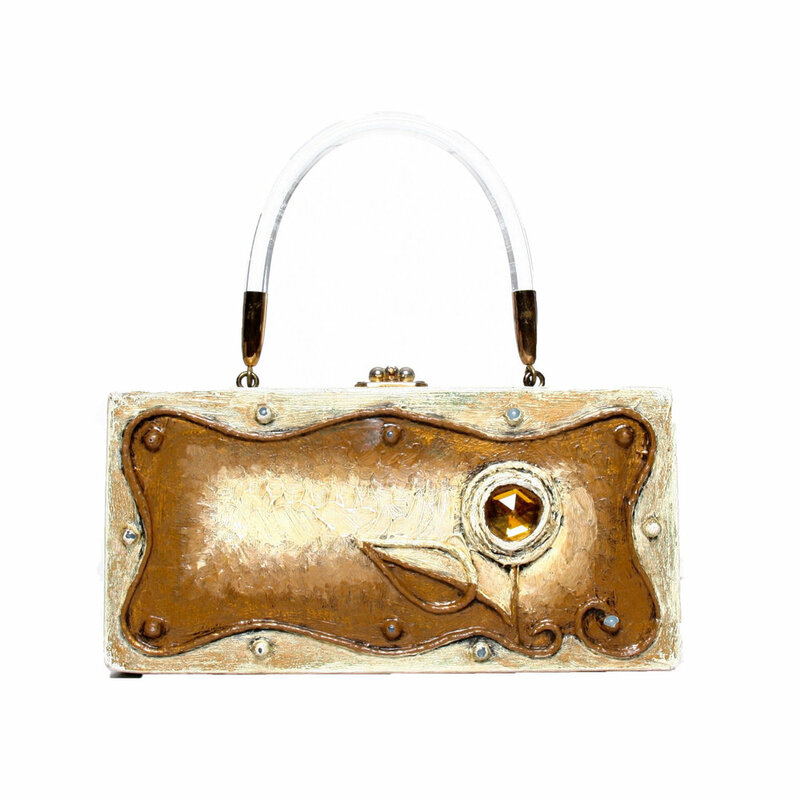 Box purse of solid wood heavily painted in white antiqued with metallic gold. Center section outlined in sinuous line of papier mâché and thick paint grading from off-white to copper. Single white papier mâché flower offset to right with a large faux-amber stone in its center. Small, round metallic embellishments. White vinyl handle.